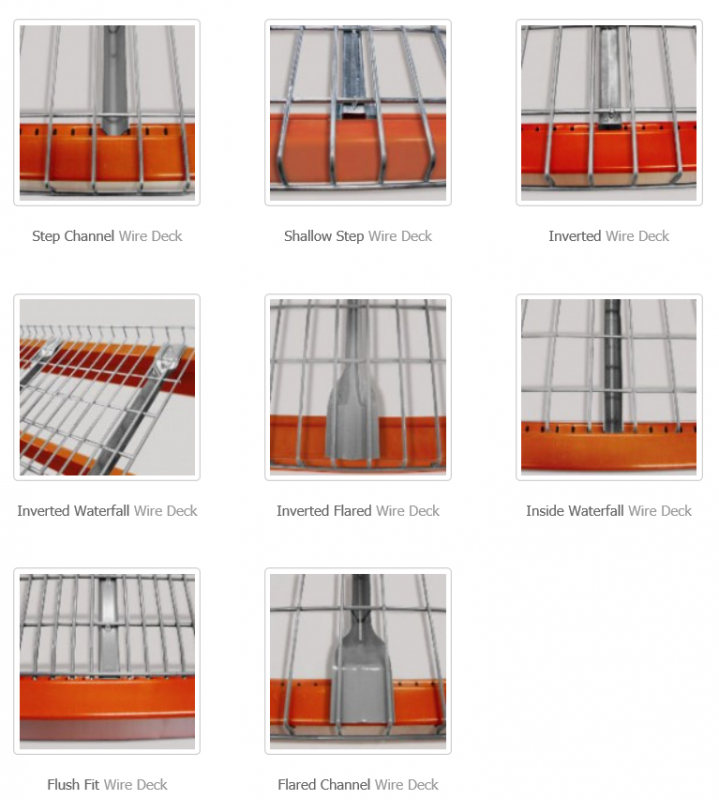 Wire deck provides the necessary space support for materials that are placed on certain pallet racking systems. It is lightweight and allows for air flow and visibility. It features an easy and convenient installation, with no tools necessary.Your warehouse will greatly benefit from wire deck, as it improves inventory, reduces debris buildup, and gives you the flexibility to store cartons. Wire Deck is used to make foundation support for items that are placed on certain pallet racking systems. 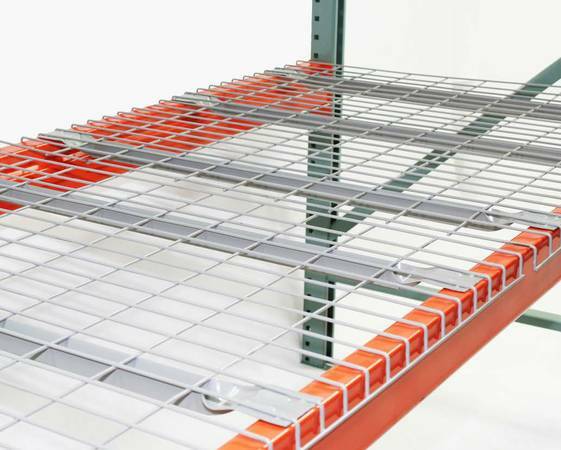 It is used to support stored merchandise and prevents pallets or materials from falling through the rack system. Additionally, wire decking provides better visibility for positioning upper rack levels and prohibits unwanted debris. All wire decking is inspected before it is shipped. 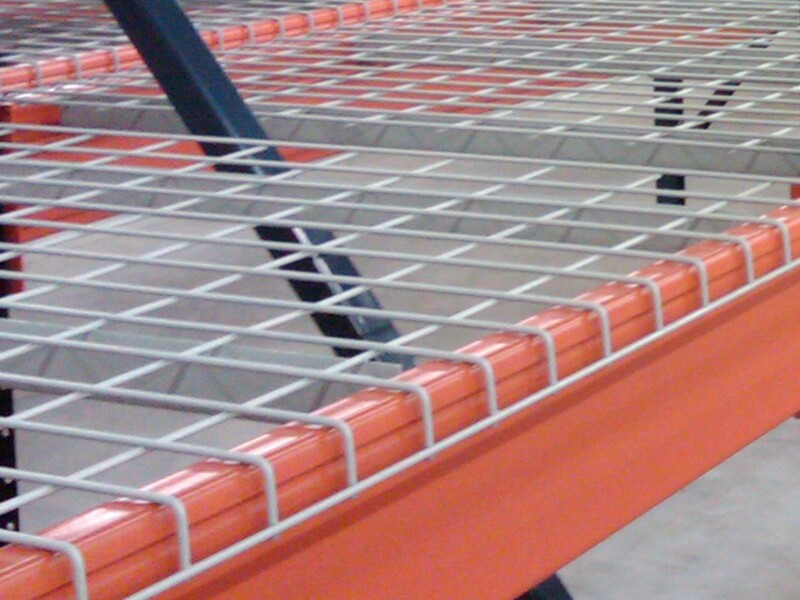 Wire Decking is an efficient solution to boost the utility and safety of pallet racking. Wire decks improve the overall ability of your rack system, prevents dust from collecting and allows air and light to breeze through each storage level. Each deck is made for a 2,500 lbs. capacity, evenly divided. To learn more about our warehouse solutions or to speak with an engineer about your specific needs please send us your contact information or call 888 277-9817. This type leaves pallet rack beams open for order picking and barcodes/labels are easily accessible. This option is designed with built-in backstop to prevent materials/products from being pushed too far off the pallet rack. Flat flush type is best used for hand-stacked loads and order picking, and it fits well inside load beams. This type features a waterfall design with a flared channel that is specifically for box and structural beams. This decking is crafted to prevent the collection of dust and remains inside the channel, with an inverted design that fits snug over beams. This wire deck also features a waterfall design, with the addition of a standard U-channel to fit over common step beams.